Most people honor the anniversary of U2’s Rattle and Hum album, but I have always honored the anniversary of Rattle and Hum the movie, which premiered in the U.S. on November 4, 1988. Maybe because that is the vivid memory in my head. I don’t remember buying the album (uh tape), but I remember going to the movie theater to see Rattle and Hum. 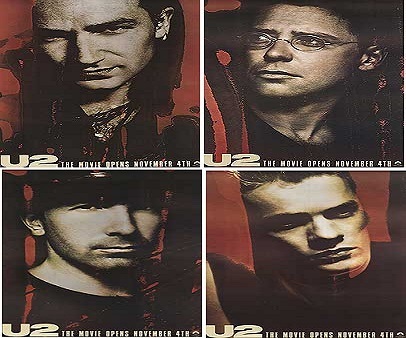 I think I remember seeing the movie and not buying the album because for me it was like going to my first U2 concert. I was only 14, almost 15, when the Joshua Tree tour came to town, but my mom said I was too young to go. So for me, seeing Rattle and Hum was like being at a U2 concert, and you always remember your first. Also it could be that I am more visual than audio, although I like to think the reverse, because it was also Elvis’ movies, not his music, that first drew me to him. On November 4, 1988, exactly one month after my 16th birthday, I piled a bunch of my friends into my GMC Jimmy and drove to the movie theater to see the premiere of Rattle and Hum. People were dancing in the aisles. It was almost like being at a concert, not that I knew what a concert was actually like since I had missed The Joshua Tree tour. Rattle and Hum was my Joshua Tree tour. As if seeing U2 perform in concert wasn’t exciting enough, Rattle and Hum also showed U2 recording in Sun Studio and touring Elvis Presley’s Graceland in Memphis. My worlds were colliding. I love Rattle and Hum almost as much as The Joshua Tree. To me it is just an extension of it, sort of a Joshua Tree part 2. 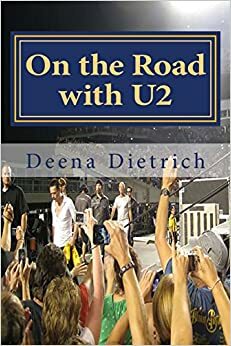 My favorites off of Rattle and Hum were and still are “Heartland,” “Love Rescue Me,” “Angel of Harlem,” and b-sides “Hallelujah Here She Comes” and “A Room at the Heartbreak Hotel.” I have never heard “Heartland” performed live, but I asked Bono about it once on the ZooTv tour. He agreed it was a great song, but skirted the question of ever playing it live. I was lucky enough to hear “Love Rescue Me,” or at least part of it, on the 360 tour in Salt Lake City in honor of Bob Dylan’s birthday in 2011. To this day, my favorite versions of “I Still Haven’t Found What I’m Looking For,” “Bad” and “Pride” are from Rattle and Hum. Those versions play in my head every time I listen to those songs, the Rattle and Hum versions are what I think of every time. I don’t think I can truly express how special Rattle and Hum is to me, and how crucial it was in growing my love for U2 – in my musical journey.